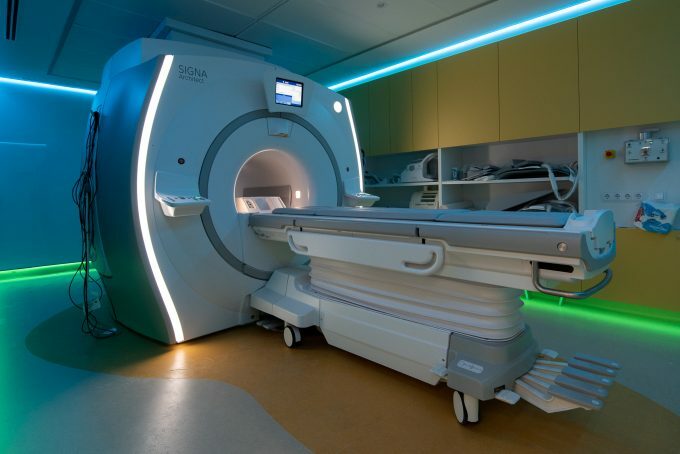 The Daniel Bravo Andreu Private Foundation has delivered Cardiac Magnetic Resonance equipment and has promoted a research program at the Hospital Clínic de Barcelona to build the new Advanced Cardiovascular Imaging Center. Cardiological Magnetic Resonance (CMR) has several advantages over other cardiovascular imaging systems since it is able to define anatomical structures with great precision as well as to characterize the tissue of the myocardium and its alterations without using ionizing radiation. The latest generation equipment with high magnetic field strength (3 Teslas) can also measure, in a consistent and reproducible way, the volumes and blood flows of the cardiovascular system and therefore are very useful tools in diagnosis and in guiding any resulting intervention. This greater sensitivity and definition is only possible thanks to the technical improvements of its components (scanners and new generation antennas) but above all to the software, in continuous evolution, that allows the management of a huge amount of data in order to reconstruct and project the image of tissues, in this case in movement (myocardium, heart valves, blood, etc.). 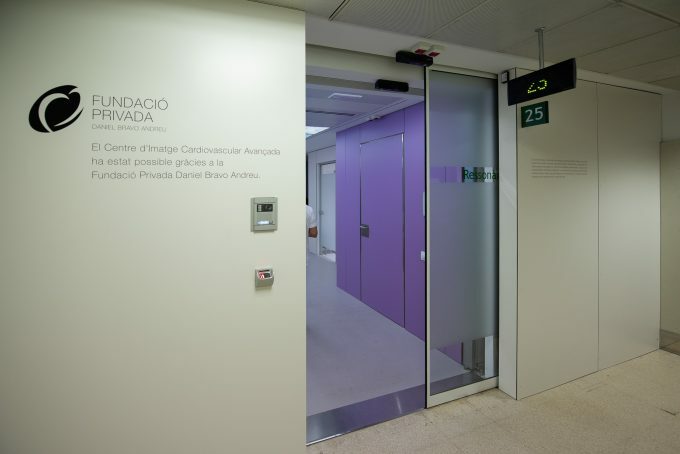 By installing state-of-the-art equipment comprising more than 5 tons of complex technology, the Daniel Bravo Andreu Private Foundation makes it possible for the Hospital to triple the number of cardiovascular resonances and go from the current 700 per year to more than 2,500 high quality scans while also reducing the patient’s stay time. The new equipment also includes features that generate greater comfort for the patient, such as more space for entrance and the audiovisual system of 3D glasses compatible with the magnetic field, which enables the patient to see and hear a video while the test is performed. By reducing examination time and improving comfort, the equipment helps to reduce the claustrophobia and stress that can occur in this type of test. In parallel with improvements in care, the Daniel Bravo Andreu Private Foundation has also been the catalyst behind a collaboration agreement to be signed between the supplier company and the Hospital to appoint a person with a biomedical profile at the Center and, over the next 4 years, conduct joint research projects in the field of CMR and its interrelation with other diagnostic and therapeutic techniques. The Hospital Clínic de Barcelona thus becomes the first collaborative reference center for this type of applications in Southern Europe. With the support of the Daniel Bravo Andreu Private Foundation, the Clinical Hospital will be able to develop research projects that will enable us to determine the origin of cardiac arrhythmias and improve treatment thanks to more precise images. Research projects can be launched and continued to better characterize heart muscle conditions (cardiomyopathies) and determine the best option for each patient. The Foundation also aims to establish and develop new computational tools to quantify blood flows within the heart and thus decide when and how to perform an intervention on the heart. The Advanced Cardiovascular Imaging Center will enhance the existing collaboration between professionals at the Cardiovascular Clinical Institute and the Image Diagnostic Center at the Hospital Clínic. The launch of the new cardiovascular magnetic resonance service will consolidate the multidisciplinary team of professionals at the Clinical Hospital, which is formed by radiologists, cardiologists, nurses, technicians and engineers dedicated to the cardiac imaging. The Daniel Bravo Andreu Private Foundation supports singular initiatives that have a positive impact on patients, their families and society in general. The Foundation has worked together with the Hospital Clínic de Barcelona to create the new Advanced Cardiovascular Image Center, aimed at making it a center of reference in diagnosis and research in the field of cardiovascular pathologies. Through this initiative, the Daniel Bravo Andreu Private Foundation demonstrates its support and dedication to cardiology, in the field of both care and research.